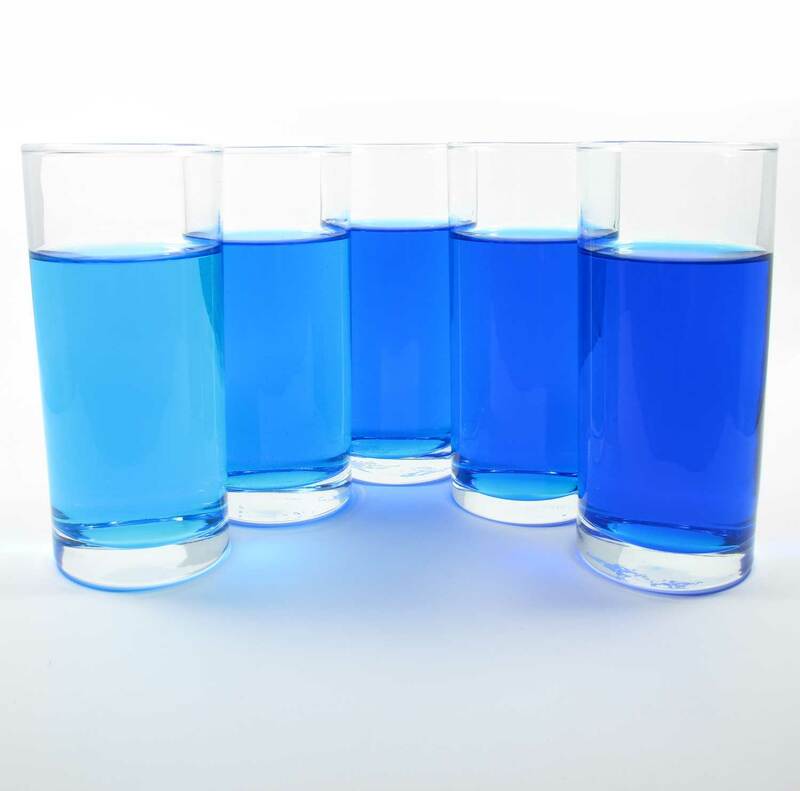 Some time ago while surfing liquid cooling section in XtremeSystems forums I found a thread where one of the members with nickname mlwood37 was telling about home made dyes for WC systems. To be honest, at first I wasn’t interested because colors were not that bright, in other words, I didn’t find any special for myself. Nevertheless, I added thread to subscription list. I was not going to use colored water in my system as well. As the time went by, color range became wider and colors became significantly brighter. Another outstanding feature is high concentration of these dyes — 1 to 5 drops per liter is fairly enough according to the color. Also, dyes were being tested for staining for several months before they actually became available for purchase. The turning-point for me was forthcoming of the Deep Blue dye — I was so impressed by this bright color that decided to order one bottle to test it out, more over, price isn’t high at all. When I was about to place the order I talked to Mick (mlwood37) and we agreed that he’ll send me some more colors to test and review, so here they are. 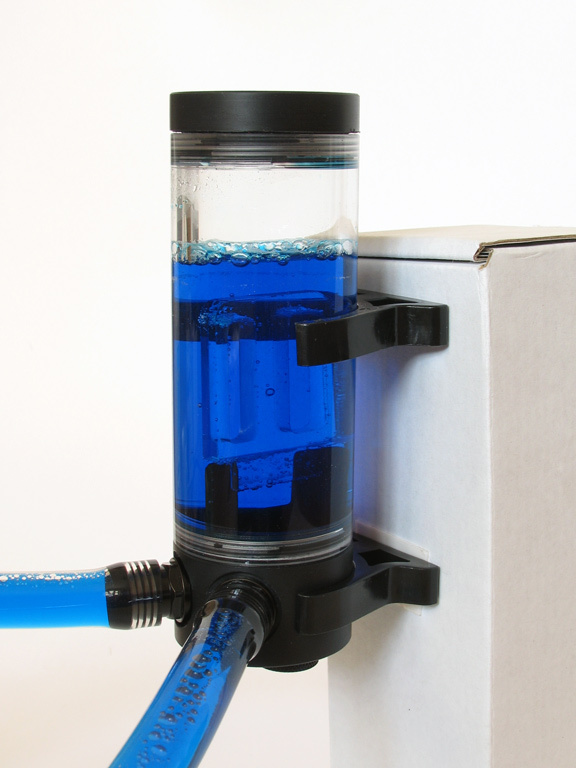 For this review I used very well known EK Multioption 150ml reservoir and clear Tygon 3603 tubing with inner diameter of 7/16″ and outer diameter of 5/8″. As color brightness obviously depends on depth of water layer this reservoir and tubing will give the most accurate color impression. I mixed dyes in 1 liter bottle before pouring it into the reservoir. Photos within one color set were made using exactly the same settings of white balance and shutter speed. Color turned bright red (truly candy) with a slight touch of pink. Unfortunately I was not able to capture this tint in the pictures. 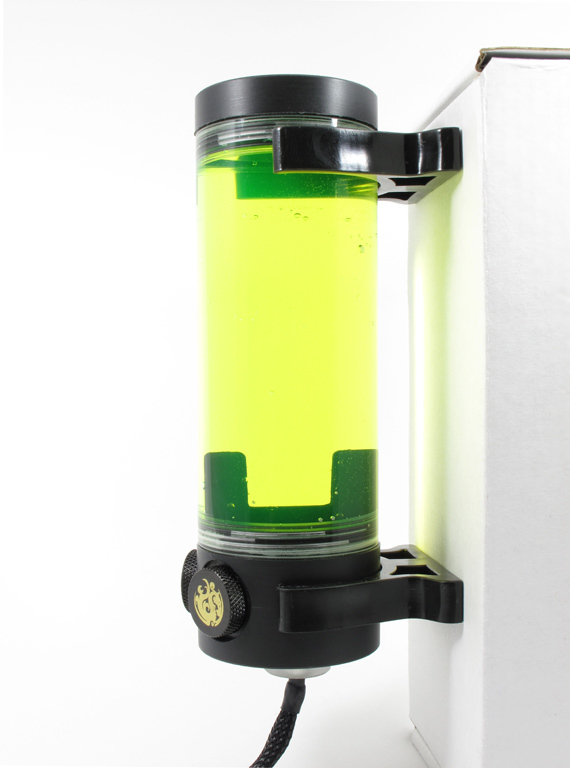 It’s concentration is extremely convenient for use — one drop of it considerably changes saturation of the color. 6 drops per liter is enough to get bright and deep color, further concentration increase doesn’t bring any noticeable color improvement. Recommended concentration is no more than 5 drops per liter. Due to the color it looks not so bright as red or blue but still good thought. This dye is UV reactive, but I’ve occasionally broke my CCFL UV lamp just before testing. Still, there was some foam formed, but it became visible only after switching the pump off and then completely dissolved in 5 seconds. Excellent result. Blue, red, purple, UV-yellow and yellow dyes were tested for 14 months and showed no deposits on the tubing and water blocks, UV-pink dye left some deposits after 8 months, transparent (UV clear) showed no deposits during 18 months of testing. The dyes are compliant with EU and US safety standards, all colors are safe for humans and animals, except for UV-pink, which is unsafe for animals. All dyes are environmentally friendly. Short summary of Mayhem’s Dyes testing.